Let's see how she runs. "LQQKs Like" to me that there are WAY too many "investment" advisors and bloggers an market observers that are expecting this to be THE bottom for gold. Sure, whilst GDXJ is meandering around forming what MIGHT be a bottoming process, don't see an indication of extreme pessimism and that uptick in the AD line on the PM chart, well... could be evidence of that worrisome lack of pessimism...? I started with nothing and have thus far experienced little change. Well, given the current turbulence in equities, the "go to" comment for most analysts always seems to point to gold bottoming because of the future uncertainty that goes along with it. Of course, we didn't have too much saying this at the end of December when equities were topping out and the gold was $50.00 lower at that technical buy point. 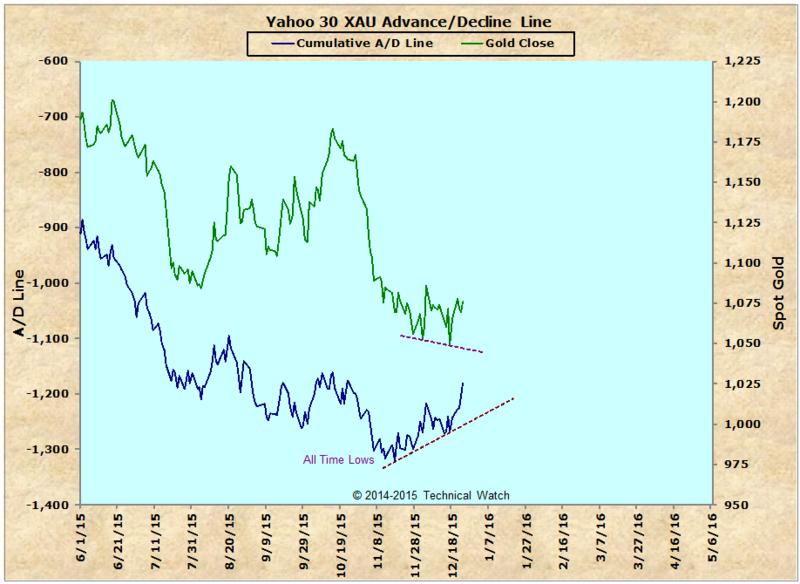 Precious metals stocks are, after all, stocks, and they will tend to move with the flow of least market resistance. So with them showing very little cumulative decay this past week, that's still a plus. And...sometimes...fundamentalists get it right from time to time. With that said, it's only a buy signal...we still have to see "how far she runs" on whether this is an important bottom or just a passing bear market phase. The chart pattern from Nov 14 thru June 15 LQQKs a lot Like the current pattern. hmm?